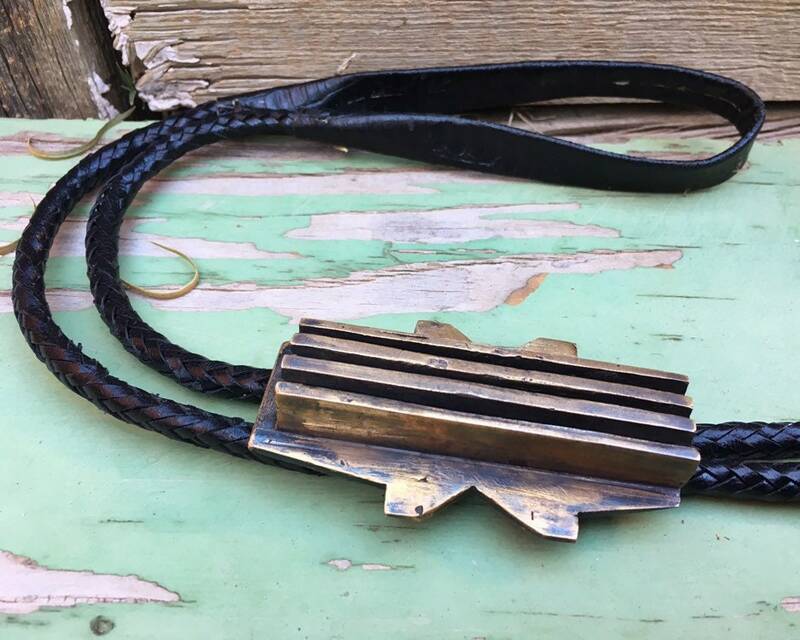 This vintage bolo tie came from the estate of an art collector, and the word is that he collected several bolo ties from an artist who worked in mixed metals. The piece is not signed but there are several clues that this is an artist-designed piece. 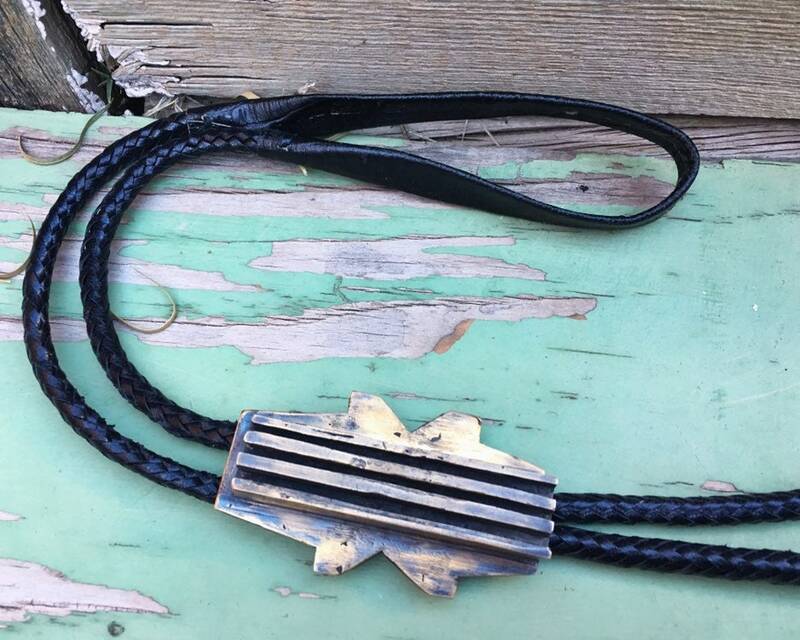 First, the leather lariat has a thicker leather wrap at the back, designed to fit nicely under a collar. 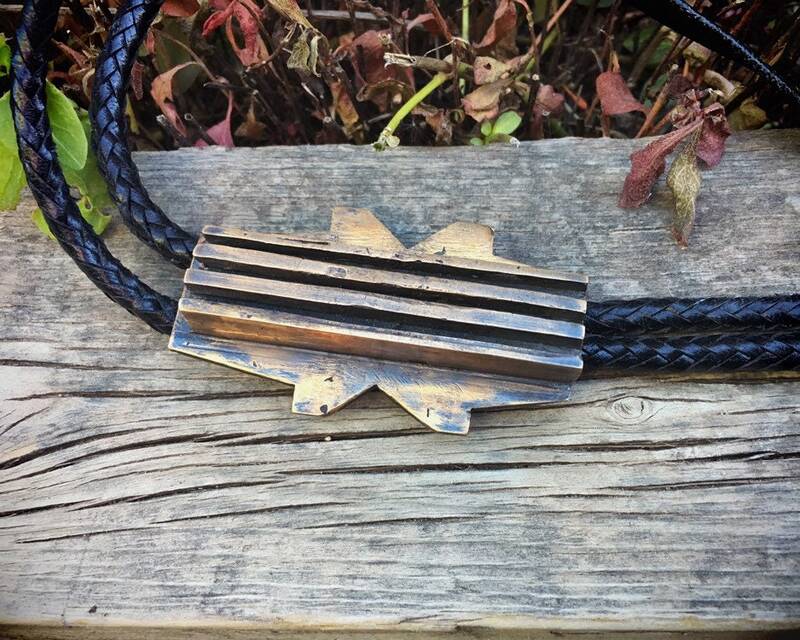 Then there is the slider, which is a heavy and relatively large piece of copper forged into a Brutalist design with geometric and linear elements that remind one of architecture or abstract art. 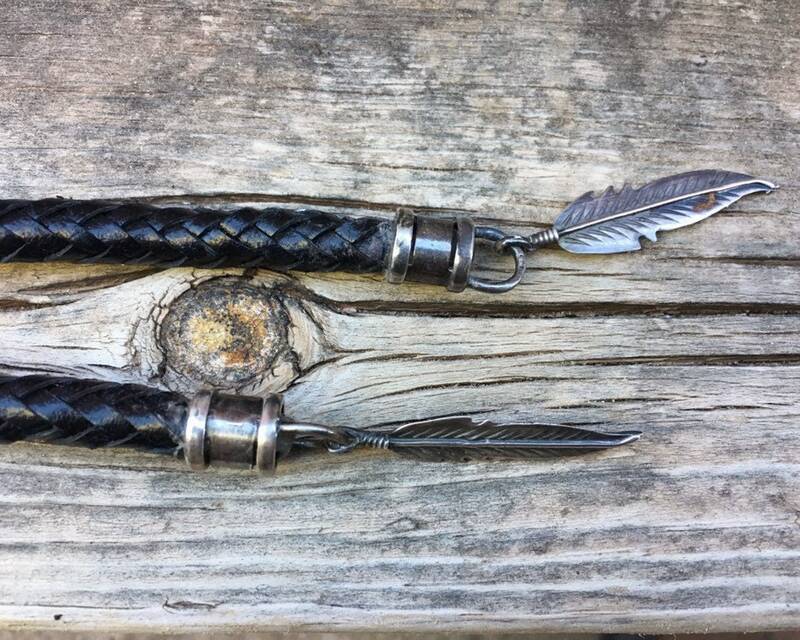 The non-traditional tips are sterling silver feathers, and even the caps on the ends of the lariat are sterling and unusual. I could see this piece being loved by someone with a strong designer aesthetic--artist, architect, graphic designer. Or just someone who matches to the beat of his or her own drum. The piece is big, and it will look best, in my opinion, on a fairly long torso. 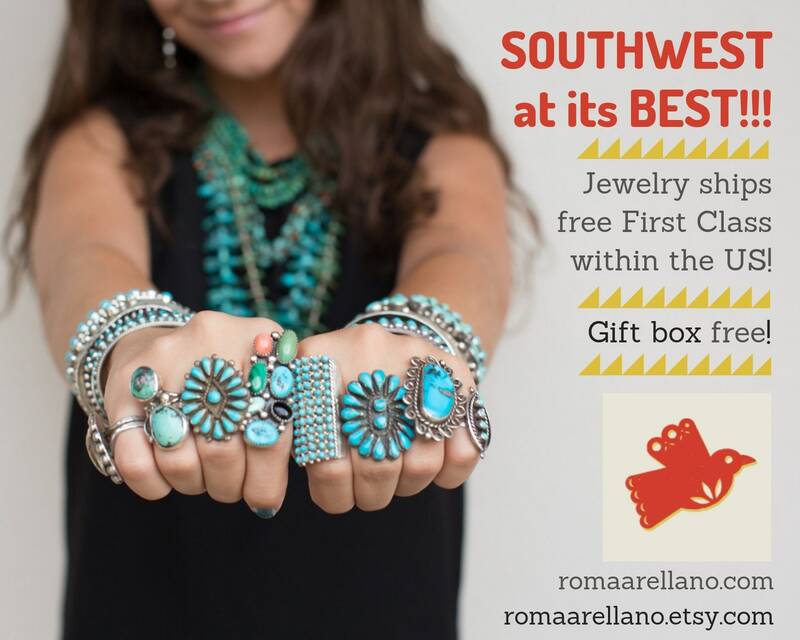 But that's more a matter of taste, and certainly someone shorter could wear the bolo as well, because after all, this piece is for the person who listens to no one's opinions but their own! Oh, and remember that copper is a traditional gift for the 7th anniversary. 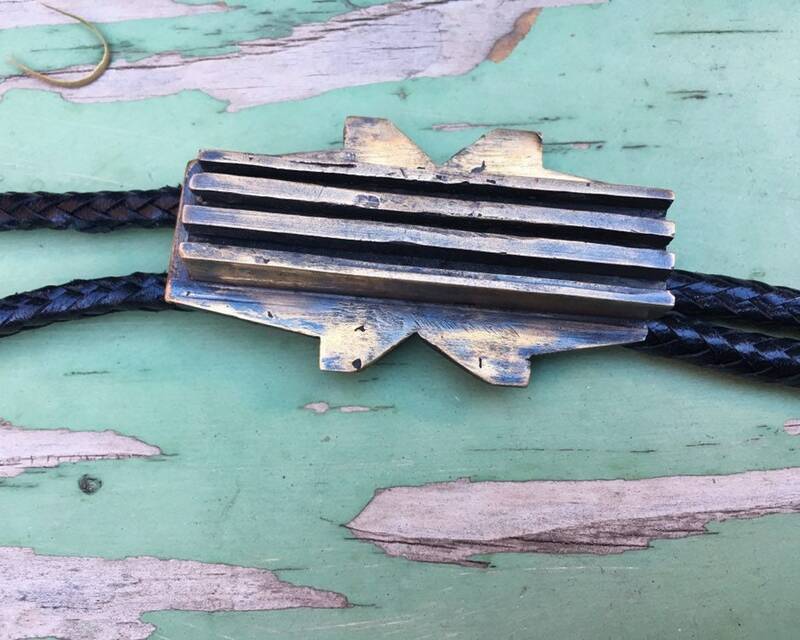 The bolo slider measures 3" long by 1-7/8" across with the four vertical bars being just over 5//8" wide The leather lariat has great substance and is not too stiff. The mechanism into which the lariat slides also appears to be copper and does not come off. To get it off the lariat you would have the remove the tips and pull the lariat through the mechanism. The copper has some scratches from age yet is in good condition. 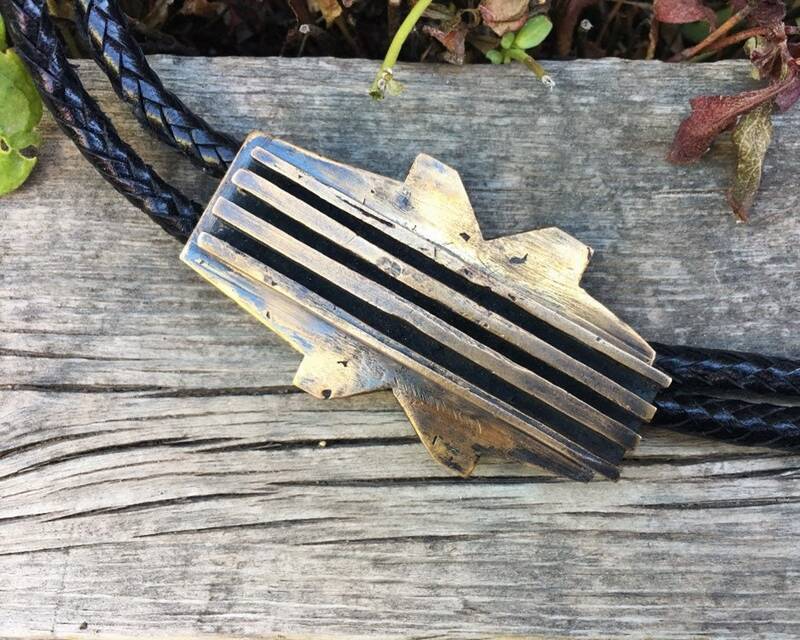 An uncommon bolo for a artist's soul.